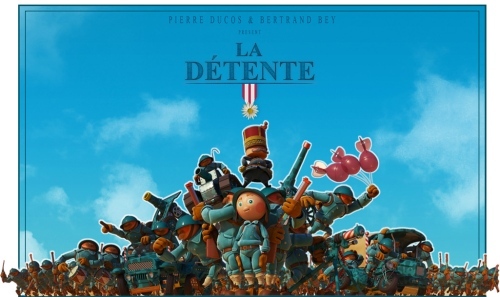 Pierre & Bertrand dedicated their spare time over 4 years to create this epic 3D film which tells the story of a French soldier in World War I, who becomes paralyzed with fear while in the trenches. He escapes in his head to an imaginary world where toys fight wars instead of humans. It won many awards and was shown at Cannes film festival 2011.